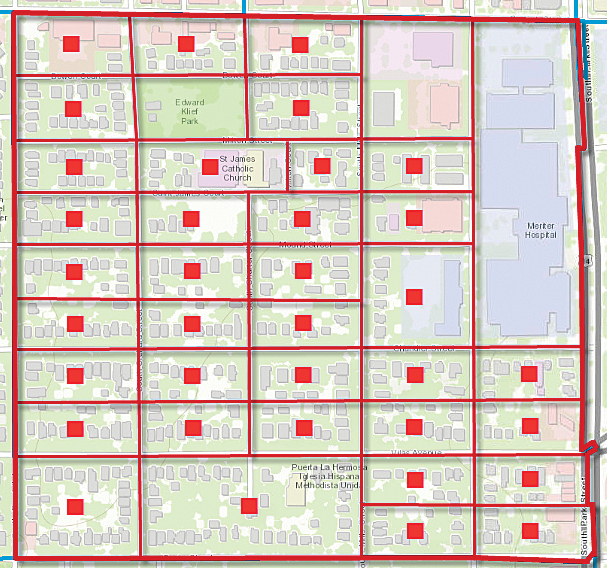 Data apportionment becomes especially important when you’re investigating areas that have irregular shapes such as generated drive times, custom areas that you have drawn on the map, or areas that you derived from other data such as fire perimeters or flood zones. 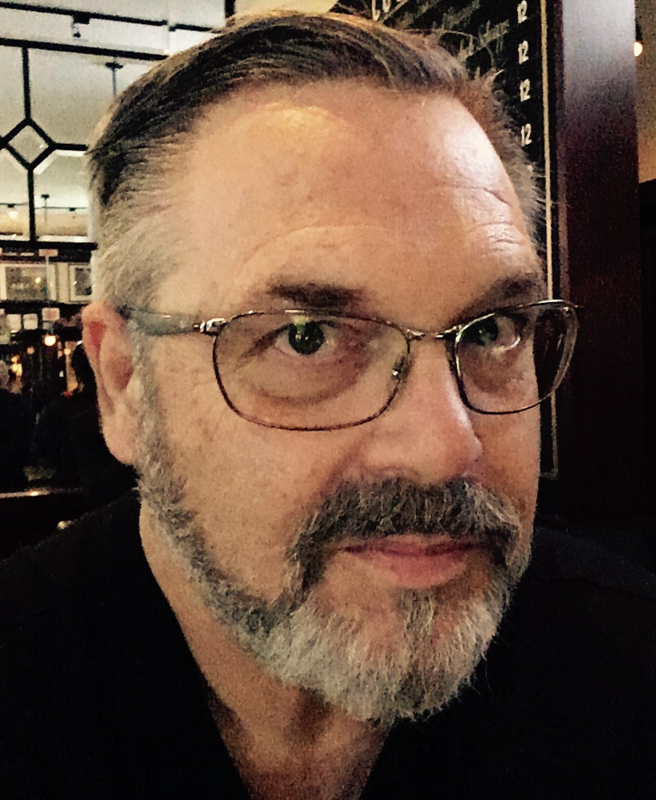 You can try this yourself using the Esri Insights app. 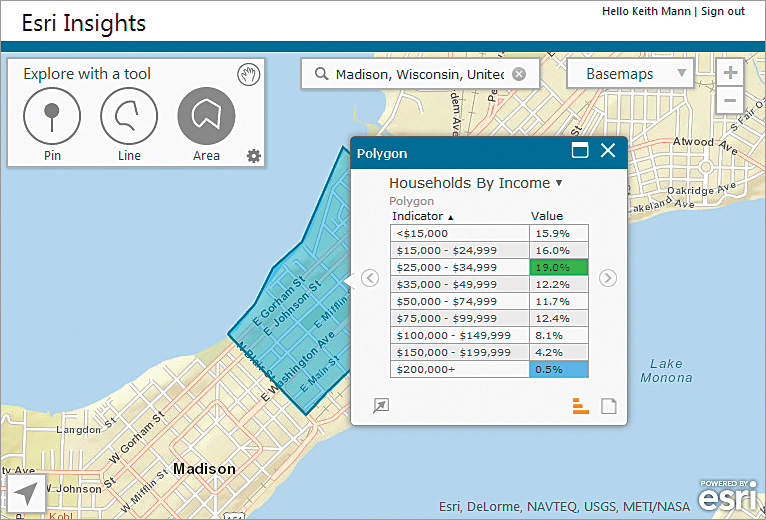 In this quick tutorial, you’ll use Esri Insights to analyze demographics within a ring, a drive-time area, and a custom area. 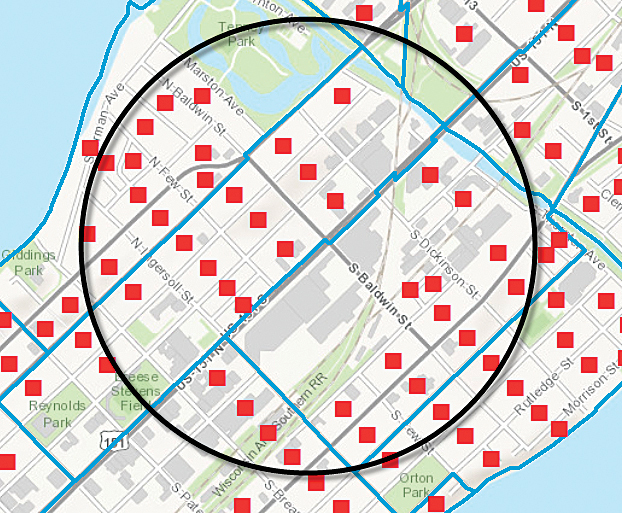 The statistics are calculated for each of these areas using the GeoEnrichment service. 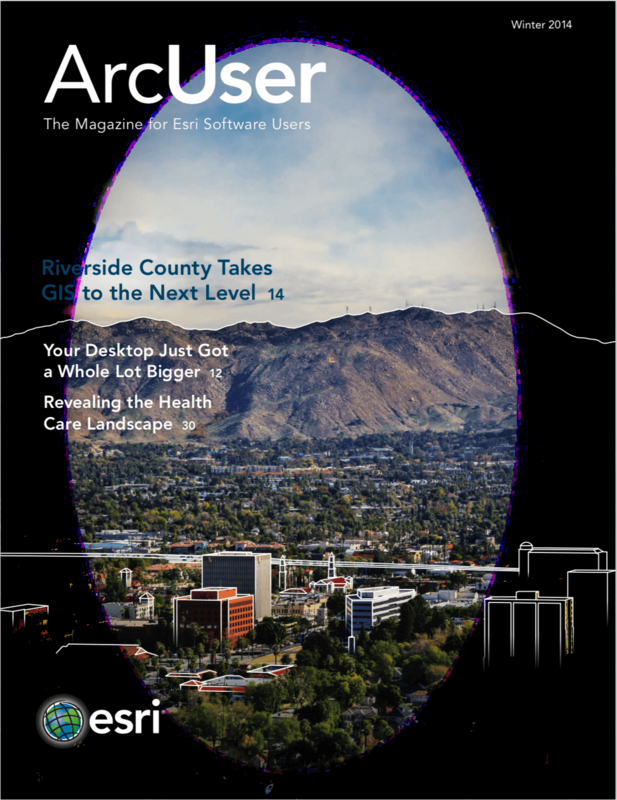 All you’ll need is an ArcGIS Online account so you can access this online app. 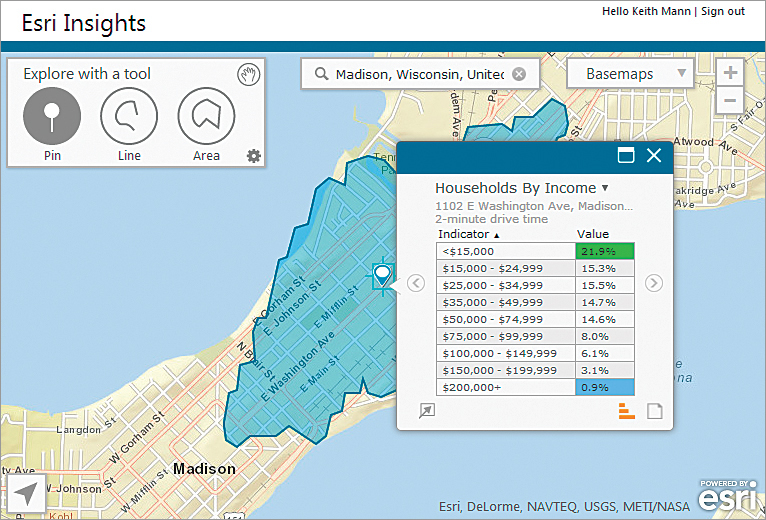 Although you can’t see the census block groups, blocks, and block points, Esri Insights is using that data via GeoEnrichment to calculate statistics and present the results to you as infographics. Page through the infographics again and notice any differences in the statistics. When you’re finished, close the pop-up. 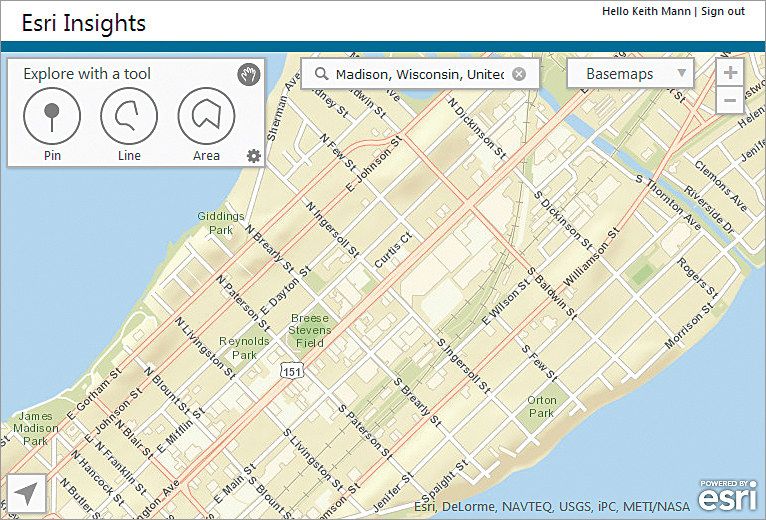 When you’re ready, sign out of Esri Insights. 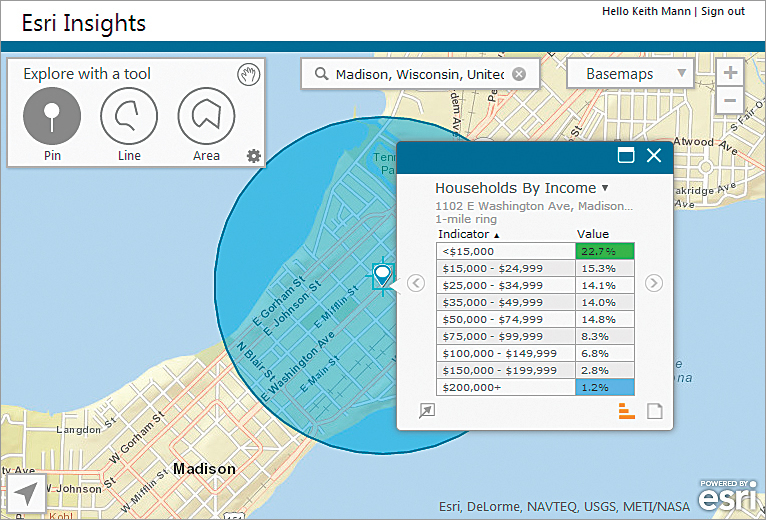 Esri Insights and other Esri Location Analytics solutions make troves of useful statistical data for areas you define instantly available using the analytical capabilities of GeoEnrichment service, which lets you answer questions about locations that you can’t answer with maps alone.